This show broadcasts on June 1, 2015. Art Olivier, producer of the 9/11 truth thriller Operation Terror, appears to have been targeted by an FBI sting operation. Fortunately Art is not the idiot the FBI apparently thinks he is. In this interview Art tells the whole story. He also offers a critical view of paranoia-pill-pusher Alex Jones, whose handlers won’t let him advertise Art’s movie at any price, and whose adrenaline-addict audience ought to go cold turkey and change the channel to Truth Jihad Radio, where inner peace and a dash of humor keep us sane. 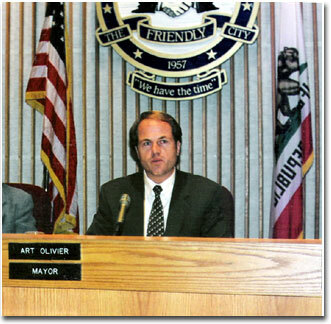 Art Olivier is the former mayor of Bellflower, California, and Libertarian candidate for governor of California and Vice President of the United States. This entry was posted on Wednesday, May 27th, 2015 at 10:37 pm	and is filed under 9/11, Anti-War, Censorship-Propaganda, False Flag/Fake Terror, Freedom, Justice, Kevin Barrett, News, People, Protest. You can follow any responses to this entry through the RSS 2.0 feed.